Got bits on all over really got the 8L and a 45 tonner on a contract ripping rock out ahead of the crushers for a local private quarry operator in a no blast quarry. We have a couple of small muck shift at Manchester and Liverpool and were going in to put back 250,000 m3 of soils at Widnes for Kiers. Plus usual 20 tonners on hire on pipeline jobs in west Cumbria. How's life in Bishopton is the job going to plan. very nice id love a d7 but we don't get enough call for them sadly to justify buying one. its been manic here getting the d6n and trimble all ready, finished today at 3pm shes of out tmrw for her first job. had a nightmare with it though, centre bearing needed to be a recess bearing so ive had to adapt the base collar to allow for no recess, all sorted now though. got ripper series 2 d6r to get site ready, d8k transmission fault to investigate, front scraper tyre slow puncture to investigate and then all the farm equipment to prep for harvest, gonna be the busiest year of my life so far for sure. Last edited by CARLD6R; 17-05-2015 at 06:33 PM. Nice looking 6N is it diff steering or clutch? Is the Trimble the full 3D looks expensive. yes mate diff steer all our d6hs, d6rs and d6ns are all diff steer. the trimble is the latest on the market brand new from sitech dual mast ms992 heads and auto control, full 3d, I couldn't risk second hand gps equipment as I don't know enough about it yet. Sounds like child slave labour to me, Roly. Mind you, one or two I've worked for would have been glad if their sons were as keen to step up as your Carl seems to be. 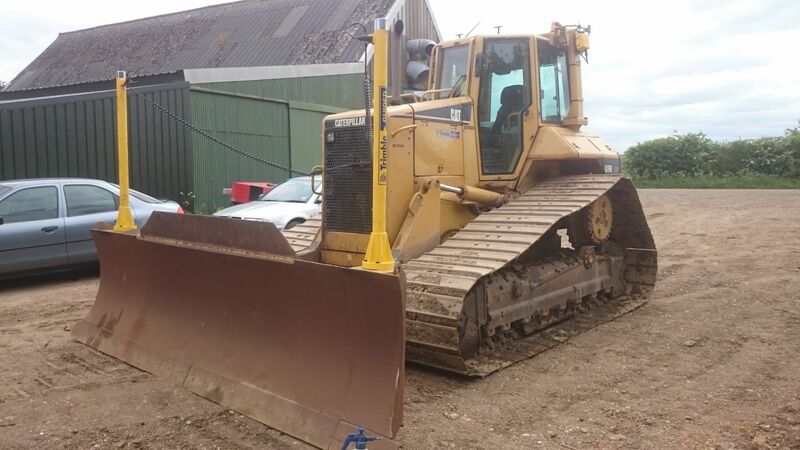 Steveaki, I have some D8 dozers and boxes stood near Widnes.Looking for work around Liverpool to Manchester area.Small jobs only required.Not looking for long term jobs.Check out my facebook page.Nick Lamb. I know very little about the likes of trimble and what I've heard is a bit mixed. I've been told that the trimble is connected to the blade on dozers and all the op has to do is run backwards and forwards. The trimble will actually do the technical bit for you. How true is this? If this is the case, surely this is taking away the ability of the operator to do his job with skill. However, a degree in computer wizardry would be some use.